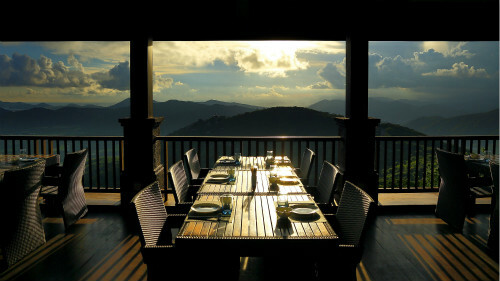 Enjoy delicious cuisine at the mountaintop surrounded by cloud. 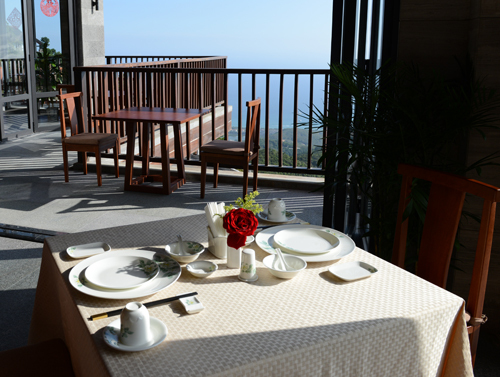 There are three theme restaurants in the Earthly Paradise Bird’s Nest Resort. 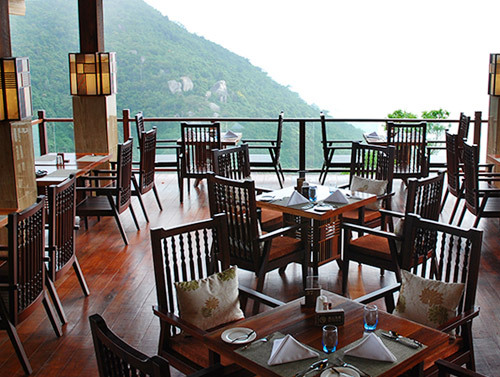 Located at the peak of Yalong Bay Tropical rainforest, Haikuotiankong Thai Restaurant, Feilongling Western Restaurant and Yundingge Chinese Restaurant are the only three highaltitude restaurants where diners may appreciate the magnificent seascape of Yalong Bay and the beautiful mountain scenery while tasting delicious food. How wonderful life is!